Who is the Rando Scando? The Rando Scando’s given name is Oscar Frick. He is an outdoor and adventure enthusiast with an interest in photography and a sense for writing. 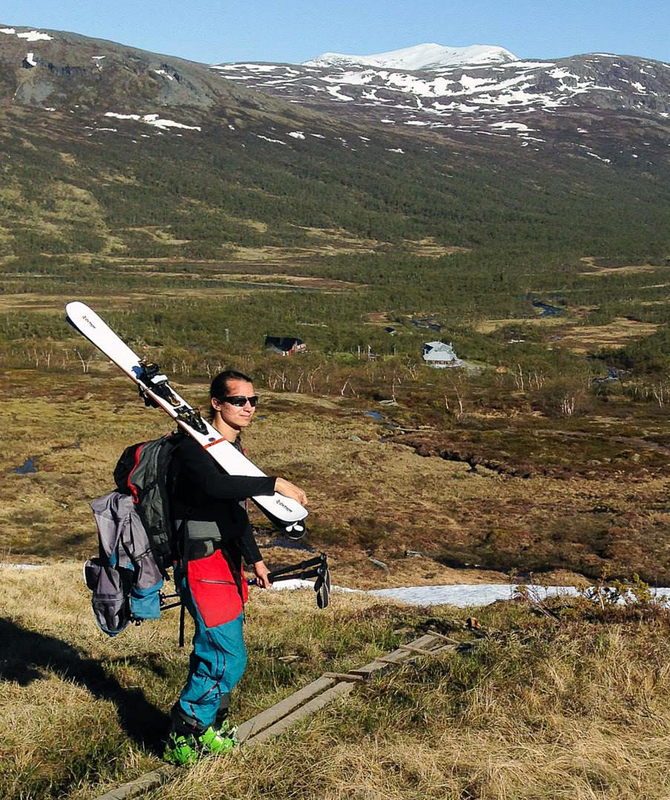 His biggest passions are skiing and mountaineering, preferably in combination. However, during periods without snow he does not stop his way of life, but rather switches to climbing, trekking and trail running. On the odd occasion he can also be spotted at seas on one sailing boat or another. As a photographer he strongly believes that every moment has its charm and makes a point in not trying to glorify the conditions dealt at the moment of shooting. Be it skiing in a complete whiteout, climbing in rain or trail running through a swamp, he will work with the moment and try to capture the feeling as is. This philosophy carries over to his writing as well. It is not that he does not have the capability to write text of fictitious nature, though rather that fact that he finds it more enjoyable and truthful to try and convey the feeling of every moments special joy and charm. Oh, he’s also an engineer with quite the background in product development and testing and he’s no stranger giving a helping hand with that.